A three-part course covering 20th thru 21st century secret agents who helped secure and maintain Israeli security. Instructor: Riva Gambert, Program Director, Under One Tent. Sponsors include the Contra Costa JCC, Cong. B’nai Shalom & Diablo Valley Hadassah. 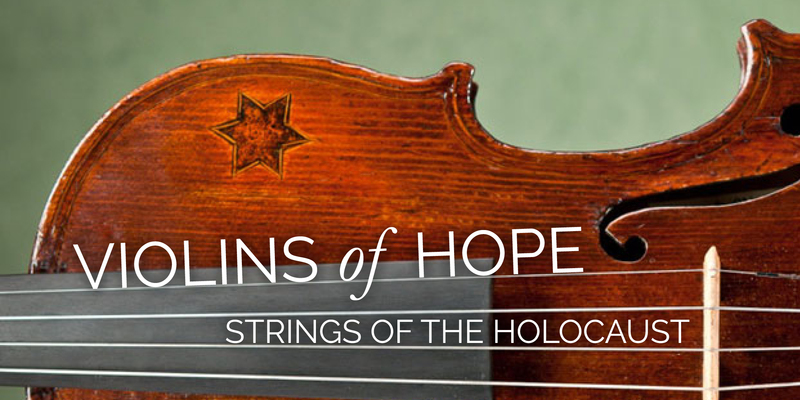 Violins of Hope is a collection of over 50 restored violins that were played by Jewish musicians during the Holocaust. These instruments have survived concentration camps, ghettos, and many long journeys to tell remarkable stories of injustice, suffering,resilience and survival. Cong. B’nai Shalom and the Contra Costa JCC are honored to bring this national program to Contra Costa with a concert featuring violinists from diverse backgrounds.